Welcome to Oponeo.co.uk. 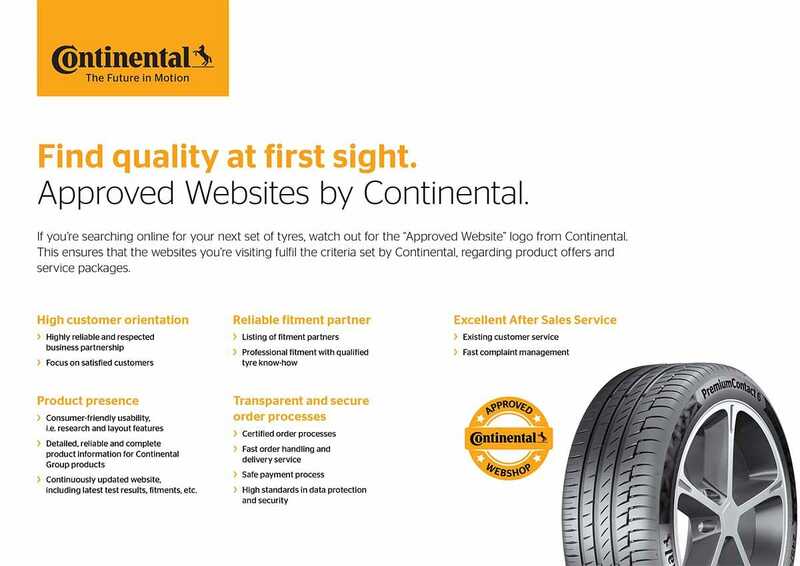 We provide you with professional information and help concerning tyres and car parts. Moreover, we sell our products to you subject to the conditions set out on this page. Please read these conditions carefully before using the Oponeo.co.uk website. By using the Oponeo.co.uk website, you signify your agreement to be bound by these conditions. All services provided by online shop for the customer are solely made on the basis of the following terms and conditions. With making an order a customer accepts the terms and conditions of the online shop. Amendments to the agreement are only valid if they are in written form and signed by the shop and the customer. Any verbal agreements require written confirmation. By ordering the chosen goods via the Internet, the customer makes a binding offer to conclude a sales distance contract which enters into force at the moment of receiving goods. When you place an order to purchase a product from Oponeo.co.uk, we will send you an e-mail confirming receipt of your order and containing the details of your order. Please note that if you do not appear to have received a reply within 1 working day, it would be advisable to check any "Junk Mail" or SPAM filters which may be installed on your system, prior to any further contact. Our reply may have been erroneously blocked by such software. Your order represents an offer to us to purchase a product. Any products on the same order which we have not confirmed in a dispatch confirmation e-mail to have been dispatched do not form part of the contract. By placing an order in the provided manner, the customer declares to have read all the information provided to him or her during the purchase process, and to accept the general conditions and payment. In case of non-availability of the ordered items, the customer is immediately informed by an e-mail. We have no control over stocks in our suppliers possession and thus are either no longer available or their changes in type or design. We hereby reserve the right to change the prices of the products in our offer and also to price errors. If they occur our clients will be immediately informed. Price lists and other advertising matter are only an indication of the type of goods offered, and no particulars therein shall be binding upon Oponeo.co.uk. All prices quoted therein are subject to alternation or withdrawal from time to time. The price given in any quotation by our company shall only be valid if it is accepted by making an order at the time of giving the quotation otherwise it shall be the price as at the date of acceptance by the company of the order from the customer. We can accept orders only from the customers who are over 18 years old. Payments made by fax, mail or telephone, unfortunately cannot be accepted for technical reasons. Available items will be immediately shipped after receiving the payment receipt. In addition, we would like to warn you that an unpaid order will be automatically deleted after 10 days from the date on which it was made. Oponeo.co.uk reserves the right to accept or refuse orders, it also reserves the right to cancel any uncompleted order. Upon placing an order for the tyres the customer shall be deemed to have determined by his or her own expertise the suitability of the tyres and the fitness of the goods for the particular use and purpose that he intends to put them to or use them for and shall not in any way rely upon the expertise of or of any statements made by the Oponeo.co.uk or any of its agents or employees. Please be informed that cancellation of an order placed through our online store is possible only if it hasn’t been dispatched yet. Each customer is informed about that through an e-mail. To cancel your order please write to our e-mail address: info@oponeo.co.uk or call the following phone number: 0800 066 3422. If the order hasn’t been dispatched yet, it is possible to cancel an order by the customer service department at the customer's request. You will be informed about that on the e-mail address given while placing an order. We make buying goods as convenient as possible as we deliver your order to your doorstep. Online orders can be shipped to anywhere in the UK, except for Jersey, Guernsey and Isle of Man. Delivery is free (only within the UK mainland). Shipment to Northern Ireland and UK islands will incur additional transportation cost of L 6.00 per piece. For deliveries outside the UK, please check our Spanish, Belgian, Dutch, French, German, Austrian, Italian, Czech, Slovak, Polish, Turkish or American sites. The tyres can be delivered directly to your home address or to an alternative address but in this case, please specify the delivery address and notify the person authorized to receive the tyres on your behalf. The normal delivery time for an existing order is up to 5 working days (please note that all delivery times are subject to stock availability). The statutory delivery time is 30 days. The above mentioned time of delivery is non-binding and can be extended in case of labor disputes, strikes and lockouts and unforeseen obstacles that are beyond the control of the seller, e.g. delivery delays of suppliers, transportation malfunctions, material or energy shortages, etc. Oponeo.co.uk will endeavour to deliver the goods within the time agreed but in no circumstances will it be liable for any loss or damage of any kind whatsoever caused directly by any delay in the delivery of the goods. You will be notified by e-mail if we do not have your tyres in stock. In case of receiving an incorrect number of items, the customer is obliged to contact the customer service. If by reason of force majeure the completion of the delivery of the goods is in our opinion rendered impracticable our company shall be at liberty to terminate the order by sending an e-mail to our customer and refunding the money previously paid by the customer. When the goods are sent out, you will receive notification by an e-mail. This e-mail will serve as your invoice. Oponeo.co.uk reserves the right to accept or refuse orders. The company also reserves the right to cancel any uncompleted order or to suspend the delivery. In this case the customer receives his or her previously paid money back. Goods will be supplied based on any information provided by the customer. It is possible for you to change your delivery address once your order has been submitted online but up to the point when we send the package. However, such change can lengthen the delivery time. Unfortunately, once we send your order you will be unable to change delivery address. If there is no one to receive your parcel at indicated address at the time of delivery, a card will be left, informing you about a delivery attempt. There will be a contact telephone number on it for your local shipping company branch. If you telephone the number on the card you will be able to re-book a delivery day, or arrange picking the parcel up from the depot. Our order will not require your signature although someone needs to be at home to accept the delivery. On receipt of the tyres the customer is deemed to have examined the goods carefully and the signing of the delivery note is conclusive evidence that the customer has examined the tyres and that the goods are free of defects which should be apparent on inspection and the goods are those which the customer had ordered. Orders, depending on a number of tyres and their size, can be sent in a few packages delivered separately. Therefore, before signing the documents of delivery, we ask our customers to check if the number of tyres received is the same as the one printed on the shipping letter. The customer has right to refuse the delivery without giving a reason, if the goods are not needed anymore. As soon as the parcel is back in our warehouse, the money refund will be issued. All prices are retail prices and include postage, packing and VAT within mainland UK. There is no difference according to number of the ordered tyres. All of them are in Pounds Sterlings (GBP). The purchase price of each product depends on the day of the order price list of Oponeo.co.uk. Oponeo.co.uk Ltd. undertakes to deliver the goods accordingly to what the customer has ordered. In case of receiving a different item than ordered, please contact our Customer Service Department. 1. The fitting stations placed on Oponeo.co.uk website do not constitute the property of Oponeo.co.uk. They are the fitting stations recommended by Oponeo.co.uk. 2. We are doing our best and regularly updating the details of our recommended fitting stations. If, by any chance, the service is not available or does not meet the expectations, the customer should contact the Customer Service Department. We also inform that, after placing an order with the delivery to a fitting station, the customer will receive a confirmation via email with all contact details to the chosen fitting station. Under normal circumstances payment shall be made at the time that the order is placed. Payment may be made by, and is accepted by PayPal, major credit and debit cards: VISA, MasterCard. Oponeo.co.uk may in its absolute discretion and without prejudice to any other rights which it may have, suspend all future deliveries of goods to the trade customer and/or terminate any contract without liability upon its part. In the event of any breach of the Terms and Conditions by the customer. In addition, we would like to warn you that an unpaid order will be automatically deleted after 10 days from the date on which it was made. The buyer has right to resign the distance contract without giving any reason. It is optional to fill in the Cancellation Form ( available here ) and send it to us no later than 14 days after the delivery of the last item. If the 14th days falls on a bank holiday/Sunday, than the cool-off period is prolonged to the next available working day. Oponeo is the subject responsible for the goods collection. In order to arrange a collection please contact our Customer Service Department via phone or e-mail ([jsEmailPlace]). The buyer can also send the goods back on his/her own. In order to do so, please contact our customer service department via phone or e-mail ([jsEmailPlace]). If you would like Oponeo.co.uk Ltd to collect the goods from you, we will have to charge you 15GBP / tyre. The goods will be only accepted when non-used to your vehicle/ not damaged. In case of successful cancellation the mutually received benefits are reversed. However, in such event the customer shall be responsible for the costs of returning the goods. When Oponeo.co.uk collects the goods, it retains the right to charge the customer for any direct costs associated with the return of the goods. Oponeo.co.uk reserves the law to collect the goods 3 times if the collection reason results from the customer"s mistake. Furthermore, Oponeo.co.uk will not pick-up the goods after several unsuccessful collection attempts. We advise our customers to ask the courier about the collection receipt. The document can stand as the proof of the successful collection and includes the parcel number which enables both customer and Oponeo to track the goods. Please contact our Customer Service team who will be more than happy to deal with your request. If you are experiencing problems, the Customer Service section will help you to find the answers you need. We will pick the tires up by shipment company. Protect the goods against damage. Tyres must be clean when prepared for posting and two tyres must be tied together. We reserve the right to assert claims for compensation if there are any damage due to improper handling or insufficient packaging in the process of the return. The transport companies will only accept items in sufficient packaging. After the successful collection of the goods, Oponeo.co.uk has 14 days to provide the customer with the money refund. The purchase invoice will be sent by e-mail to the address given by the customer during the order placement. The rate of a phone call to our Customer Service department is toll free (when calling the 08000663422 number) or it is determined in accordance with local rates (when calling our 02030110070). 1. Provision of personal data is voluntary but necessary in order to place and carry out the Order. 2. The personal data are processed by the Data Controller, above all in order to perform and handle the Order (pursuant to Art. 6 Item 1 let. B of the Regulation 2016/679 of the European Parliament and of the (EU) Council of 27 April 2016 on the protection of natural persons with regard to the processing of personal data and on the free movement of such data, and repealing Directive 95/46/EC, hereinafter referred to as ‘GDPR’). Processing data in any other purpose is possible only with an express consent of the Buyer. 3. The Buyer has the right of access to his/her personal data, their rectification, erasure, the right to have the processing restricted, right to object to the processing of personal data and the right of data portability. He/she also has the right to lodge a complaint to the President of the Personal Data Protection Authority. 4. Personal data of the Buyer will be proceeded throughout the period related to the execution and handling of the Order and until prescription or expiration of claims. 5. Receivers of the Buyer's personal data may by entities performing the order at the Seller's request and handling it, such as: shipment companies, accounting companies, suppliers of the goods, assembly services, providers of IT solutions, payment processing companies, banks, insurance companies, debt collection agencies, companies providing marketing services, providers of warehouse services, telecommunication providers, companies utilizing documents, authorised state authorities. 6. In order to guarantee the safety of your information during transfer we use Secure Socket Layer Software (SSL). This software encodes the information, which you transfer. We maintain strict physical, electronic and procedural safety measures in connection with the collection, storage and disclosure of our customers' personal information. We assume that there is no liability for data security during their transmission over the Internet (for instance due to technical problems of the provider) or for any criminal third party access to files of our website. However, it is important for you to protect yourself against the unauthorized access to your password and your computer. If you share your computer with others you should take great care to log out after each session. We assume no responsibility for the access into confidential customer login. 7. Our careful handling of your personal details is of a great importance to us. Therefore, we appreciate your trust that Oponeo.co.uk handles your personal information conscientiously. We are not the manufacturer of the goods supplied by us. The manufacturer’s warranty begins on the day of arrival of the goods to the customer. 2. The warranty covers the responsibility for product defects. 3. The products sold by Oponeo.co.uk are covered with Oponeo.co.uk warrant or the manufacturer’s guarantee. 4. The warranty regards the quality that is compatible with the required quality standards and possible hidden defects, which are a consequence of the manufacturing flaws the responsibility for which is held by the product manufacturer. 5. The warranty does not cover damages sustained from the external causes, such as: mechanical damages, weather conditions, improper installation, misapplication or an influence of other non-standard conditions. 6. The customer is obligated to store the complained products in separated place, in conditions that do not cause its damages, malformations or other adverse effects, especially those which prevent from verifying the buyer’s claims by the seller. 1. Every product defect complaint, can be reported in writing (via e-mail [info@oponeo.co.uk] or by phone [0800 066 3422]. 3. According with the terms, the seller begins the complaint procedure after receiving the fully completed and personally signed complaint form. The form should be sent to the e-mail address: info@oponeo.co.uk. 4. After receiving the form, the seller organises the collection of the faulty product and passes it to the experts for an opinion. 5. When the product is being sent, the transport company should leave an acknowledgment to the buyer and the product value. That document is a proof of surrendering the product to the courier. If the buyer does not receive such document, it needs to be reported to the courier. 6. In case the complaint is positively resolved, the seller will return the product value to the buyer. If a complaint is approved only in a certain percentage, the percentage is being deducted from a purchase amount and returned to a customer.Other claims of the buyer, which do not result from the complaint, will be excluded. 7. If the complaint is discarded, the customer is obligated to cover the costs of returning the faulty product to them and possible reprocessing within 7 working days from the date of receiving the letter with the complaint result. If the customer does not mark otherwise in their complaint form, after 7 days from the day of issuing the decision the faulty product will be reprocessed and the buyer will cover the costs. 8. Lack of any payment will result in court proceedings towards the buyer. 9. If both parties do not agree on a common position, each party has the right to commission an expert appraisal of the faulty product by the independent institution. 10. The customer will be informed about the result of his complaint by Customer Service Department, up to 2 months, via e-mail. 11. Oponeo.co.uk cannot be expected to compensate any delays concerning the reparation or exchange of product. 1. Please always check the integrity of the packaging, weight and number of packages, as well as whether the package corresponds with the order. 2. Errors in quantity of the delivered product or damages of the packages must be ascertain when receiving the delivery, with the presence of transportation company representative and notified to the seller as soon as possible. 3. In case the product is damaged or faulty, please do not accept the product or fill in the damage form in the presence of the courier, keep the copy of the document and inform the Customer Service Department about the situation to solve the problem as quickly as possible. 5. If the product was accepted without any noticeable damages to the packaging, and the lack in quantity was determined after unpacking the delivery, the Customer Service Department should be contacted as soon as possible. 6. In case of any difficulties with the delivery control or if the courier refuses to complete the damage form, please write down the couriers personal data – name, surname and telephone number. Please pass those information immediately to the Customer Service Department in order for us to undertake appropriate actions. 7. If no written complaint is delivered in due date, it is regarded that the customer accepted the product as a whole. According to article 14, paragraph. 1-2 of Regulation of the European Parliament and of the Council (EU) No 524/2013 from 21 May 2013, we commit ourselves to placing information on the ODR platform. Online Dispute Resolution is intended to facilitate an independent, non-judicial settlement of disputes between consumers and traders through the Internet. These disputes relate to contractual obligations arising from online sales or service contracts concluded between consumers living in the Union and traders established in the Union. The consumer who would like to take advantage of the possibility of an amicable resolution to disputes concerning online purchases may submit a complaint, for example, via the EU"s Internet ODR platform which is available at: http://ec.europa.eu/consumers/odr/. Please also note that Oponeo.co.uk reserves the right to refuse to resolve the dispute through mediation notified via the ODR platform. We would also like to remind the consumer that they have the right to notify any claims for purchased goods from the Oponeo.co.uk store using the following e-mail address: info@oponeo.co.uk. Users of this website may post reviews, comments and other content; and submit suggestions, ideas, comments, questions, or other information, as long as the content is not illegal, obscene, abusive, threatening, defamatory, invasive of privacy, infringing of intellectual property rights, or otherwise injurious to third parties, or objectionable and does not consist of or contain software viruses, political campaigning, commercial solicitation, chain letters, mass mailings, or any form of "spam." Oponeo.co.uk reserves the right to remove or edit any content. No right, or licence is granted by these Terms and Conditions to the purchaser under any patent, copyright, registered design or any other industrial property right except the right to use the goods. All logos, images and graphics are property of their respective companies and are subject to copyright of the licensor. All the content on this website is subject to the law regarding copyright and other related rights. The contents of this website may not be copied, distributed, changed or made available to third parties or otherwise used. All rights reserved. Oponeo.co.uk may revise these Terms at any time. If any provision of these Terms and Conditions is held to be invalid or unenforceable such invalidity or unenforceability shall not affect the other provisions or part of such clauses. You can save the current Terms and Conditions now or print them for your records. Failure by Oponeo.co.uk to enforce any of the Terms and Conditions shall not be construed as a waiver of any of the company’s right hereunder. Oponeo.co uk shall not incur any liability nor shall any right accrue to the purchaser by reason of any misrepresentation arising from: printing and clerical errors or oral statements not confirmed by Oponeo.co.uk in writing.